Writing, occasionally, for The New Republic, I’ve learned some very interesting things since the start of 2015. The first – and really the best – thing is that new media changes constantly. In just a year, there is actually less room for me at TNR. Since the organizational shake up at the magazine (and, really, since Ferguson), they’ve hired Jamil Smith and Jeet Heer as permanent staffers to write for them, and that doesn’t leave much space for a wordy academic who masquerades as a journalist, who only occasionally has the time to write something for the public, and who rarely has the chance to write something meaningful and fast. Smith and Heer are pretty amazing and insightful, and it is a pleasure to read them – just as it is a pleasure to read other new voices in the public sphere. Another crucial difference: the editors at TNR are lovely people, but they are also quick to trim away anything that doesn’t get to the point fast. This isn’t about burying the lead. It is about the long, slow build up to a major point, or the careful reading of a scene or a bit of evidence. I love that stuff! But that stuff is hard to get into print when – as far as TNR is concerned – you’re just a journeyman writer, as I am. A case in point: the recent review of the new Lee Child novel, Make Me. I’d imagined and proposed a long, LARB-style piece, and delivered exactly that. (Or, at least, I delivered my version of it). The review came back to be at about a half of the original length, with whole paragraphs moved around. It is much more tightly focused on a single set of questions. It does very different work. It also circulated a lot more than my average blog post. Here is what got published. And here is what I submitted. A world of difference between them. Honestly, which is better? The longer one that no one will ever read (unless they read this) or the shorter one that got out there and travelled far and wide? On September 8, author Lee Child will release the next Jack Reacher novel, titled Make Me, the 20th in a series that dates back to the Clinton administration. Fans will be thrilled, I’m sure, by the book’s title, which accurately captures the protagonist’s distinctively gruff machismo in two simple words – at once a dare, a challenge, and a confident promise of inevitable failure, should someone try to force him into anything. Make Me delivers exactly what regular readers of the Reacher novels have come to expect. There is a mysterious disappearance, a strong and beautiful woman, and a vast criminal conspiracy. There is a single enigmatic clue, discovered on a crumpled up piece of paper. Skulls get cracked. People die. Law enforcement will fail do much of anything, which means that Reacher will have to bring the hammer himself. (Cops are either ineffective or absent in the Reacher books; in Make Me, they are practically invisible). Moving briskly and with little adornment, the book underlines and highlights what we already know: that Reacher is the blunt instrument of justice sent, it seems, by the universe, appearing out of nowhere, turning the world upside down, and the disappearing at the end into the mist. Reacher is big business, of course. Last year’s installment, Personal, has sold 450,000 copies. Classic pulp, the plotlines of each bestselling novel in the series feature lean arcs and little character development. Drawing from a handful of closely linked genres – police procedurals, mystery novels, mixing Tom Clancy and Clive Cussler – they contain much that is familiar and much that never changes. (In a way, Reacher is Dirk Pitt’s ego with Harry Bosch’s detective skills and in a Terminator chassis). Formulaic literature, like serial drama, is popular precisely because it tells the same, comfortable story, with the same much-adored protagonists, over and over again. And Reacher is as regular and as predictable as the atomic clock. Indeed, one could lose a decade or two reading these novels and waiting for the moment somebody actually learns something new about themselves, and shifts direction or grows emotionally as a consequence. There is not a single existential moment in all twenty. As a character, though, Reacher is rather unique. When he a six-year old child, Reacher was the subject of a Cold War behavioral study, an experiment that was meant to ferret out the root of aggression. Groups of young children – Reacher among them – were brought to watch a movie at an army base. As the film rolled, they were surprised by the sudden appearance on screen of what seemed like a threatening monster. Every other child cowered in fear, except for young Jack. A series of still photographs taken for the study captured him as he leapt over the row of chairs and lunged towards the cheap-looking, rubbery creature on silver screen, a small switchblade in his hand. Child makes the most of this strange, darker personal history – first shared with readers in 2010’s 61 Hours. The instinct that drove Reacher to hurdle the row of chairs and charge the screen routinely appears in the narrative as “the lizard brain” part of the former MP, as a kind of prehistoric reminder of the way men once were. Still, Reacher is also terrifying clinical. When narrating a conversation, Child often writes that “Reacher said nothing,” an inside wink to fanboys who appreciate Reacher’s taciturn minimalism. But once he is deployed by fate and luck, there are long, interior monologues about flesh and bone, about how to break a body, including detailed technical appraisals of a looming battle. Reacher toggles back and forth, then, between these two extremes, between a violence that is primitive to an extreme and a violence that is worrisomely detached and surgical. As an adult with a long, tawdry history of violence, Reacher is at home on the open road. Having been told where and when to move for most of his life in the army, he decides to wander aimlessly. He keeps nothing. He throws away his clothes after wearing them for a few days and buys new ones. He keeps a toothbrush and a passport in his pockets and nothing else. He has no bank account. No apartment. No car. No gun. Everything he has in every one of these novels is something he has acquired recently and something he will discard soon. This includes, of course, the smart and strong women in each novel, who are either sexual or investigative partners, and often both. Judged on these facts, the wide-open spaces of the United States are, as common folklore dictates, a libidinous paradise for the freedom-loving, unbreakable white man on the move. Reacher is living the dream. Reacher’s open road, though, is filled with dangerous monsters. In most of Child’s novels, Reacher is just out there somewhere, wandering, drinking coffee and eating a plush breakfast at a diner. He is the proverbial guy on a subway, the man in the corner of the coffee shop, the guy who hails a cab, the hitchhiker at the end of the interstate, or the guy walking on the street. Always moving and always unrecognizable. And then, with a jolt, he encounters some deeper injustice, and the “lizard brain” awakens. The monsters must then be crushed. The open road and the open mind are, of course, regularly linked in American fiction and film. Linked, that is, in a sequence, as if the one follows the other. From the written work of Thoreau, Steinbeck, and Kerouac to the silver screen dreamscapes of Ridley Scott, Wes Anderson, and countless others, the pavement that connects the wide open spaces of the great American outdoors is a sort of existential proving grounds. Kerouac’s narrator, drifting across the continent on a series of half-hearted errands, realizes a certain kind of cosmic truth in the end. On the run to Mexico, Thelma and Louise “wake up” to the realities of patriarchy, and refuse to return to their sedate, stationary lives. A road trip, the genre tells us, is magically transformative; along with pain and suffering, it brings lasting wisdom and insight, a new sense of self and purpose. It remakes us. The Reacher novels are, in a way, derived from this same national fascination with blue routes and blacktop highways. Fascinated by the freedom of movement, the former MP is routinely on a bus or a train to nowhere special, when whimsy leads him to stop for a moment in one town. Sometimes he is there to see a historical landmark. And sometimes he is drawn by a town’s name. (In Make Me, it is the enigmatic name, ‘Mother’s Rest.’) The whimsy is important, revealing a clever sense of humor, and an almost childlike fascination with local history. Again, there are monsters everywhere. So this use of the open road as a plot device in every Reacher novel also tells the reader, in a rather unsettling way, that vast criminal schemes are potentially everywhere, in the heartland and in the big city, in every taxicab and corner booth, and that, in the absence of the law, only maximum force can bring justice. The novels are dramatic accounts of those moments when something in Reacher’s background triggers a high alert. 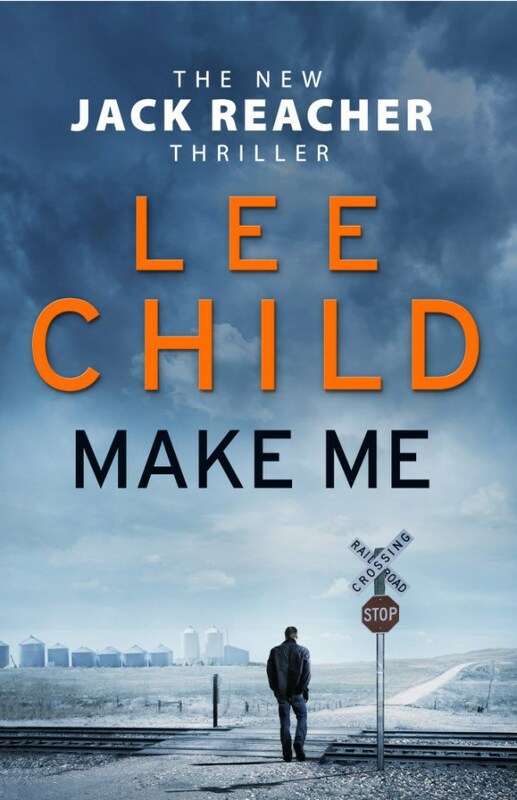 In Make Me, for instance, Reacher gets off the train hoping to discover the root of the town’s peculiar name, but he is mistaken for another man, now missing. Intending to stay very briefly – and then to get back on the road – his investigations into the root of the town’s unusual name are mistaken for more serious detective work, forcing the deeper conspiracy to show its hand. Because no enemy in any of these stories every really understands just how dangerous Reacher truly is, the attempt to scare him off merely irritates him and gets him interested. A few years ago, teaching a class on the open road, I asked my students to reach Echo Burning, the fifth Reacher novel, published in 2001. Wandering a borderlands landscape populated by strong, dangerous, rapacious men – the sort of men one finds in the work of Cormac McCarthy or William Faulkner – Reacher is picked up while hitch-hiking by a beautiful Mexican émigré, who has been abused by her vile Anglo husband. The husband, in turn, is surrounded by a gang of criminals, each of them deserving extra-legal punishment. Reacher, after hearing the woman’s story, goes undercover as a day laborer and ranch hand, and, as the saying goes, hijinks ensue. By the end of the novel, the Texas countryside is painted red with blood, the entire legal establishment has been revealed as ineffective, and Reacher has administered his punishment. Then, as always, he moves on. Not like Paul Kersey, the antihero of Death Wish, who delivers vigilante justice and then winks at the camera as he leaves one jurisdiction for another. Silently and without any fanfare or any sort of goodbye, Reacher just leaves, showing know real attachment to any place or any person. His discovery of those monsters, we are meant to think, is merely about a chance encounter, because we’d think and feel differently about Reacher if we thought he was, like Kersey, actively looking for trouble. I’d asked my students what they thought of Reacher, and they suggested that he should stand trial. For murder. Then, reading carefully through his interior monologues, they decided that he was insane and had him remitted to a high-security mental health facility. In our summary discussion, we talked a lot about Reacher as post-Cold War John Rambo, the Vietnam veteran suffering from PTSD who wanders into a small town in the Pacific Northwest and runs afoul of the local police. In Rambo’s story there is also is violence and blood in the wage of his wanderings. In the original novel, Rambo is mercifully killed, put out of his postwar misery, but in the movie, Rambo lives, and is incarcerated by the military until such time as his peculiar skills are needed once more, at which point he is released far from the United States, a killing machine unable to live within the country he was constructed to protect. The point, for my students, was that Reacher should never have been set loose on the American countryside. Jack Reacher troubles me, too. In Make Me, the hero – white and male – wanders a landscape where the police are incompetent, weak, or generally absent. He delivers justice without regard for laws, and wherever and whenever it is needed, from the city streets to the dense canopy of the jungle to the dry and dusty borderlands. This image of the pathetic civilian authorities, either entirely absent or extinguished quickly to make room for the “real” hero, stands in jarring contrast to what we see these days on the news: local police who look like military soldiers, equipped with body armor and automatic rifles and driving tanks. Maybe our popular notions of justice are deeply, disturbingly disconnected from the law. Maybe, deep down, we imagine that justice comes from lawlessness, and not from a judge, or a trio of lawyers, or a constitutional scholar. It arrives with an epic beat-down, and not with a genteel summons to court. And it results, almost invariably, in a messy, bloody death. Maybe that helps to make it possible for some people to see an armed response as the only kind of justice that deserves applause. Maybe we have an insatiable appetite for justice freed from legal restraint, and administered by the white male hero. Maybe we want Jack Reacher, sociopath that he is, traveling across the Great Plains in that Greyhound bus, plotting to break the bones and the bodies of the bad guys who lurk everywhere. That is a pretty terrifying thought.